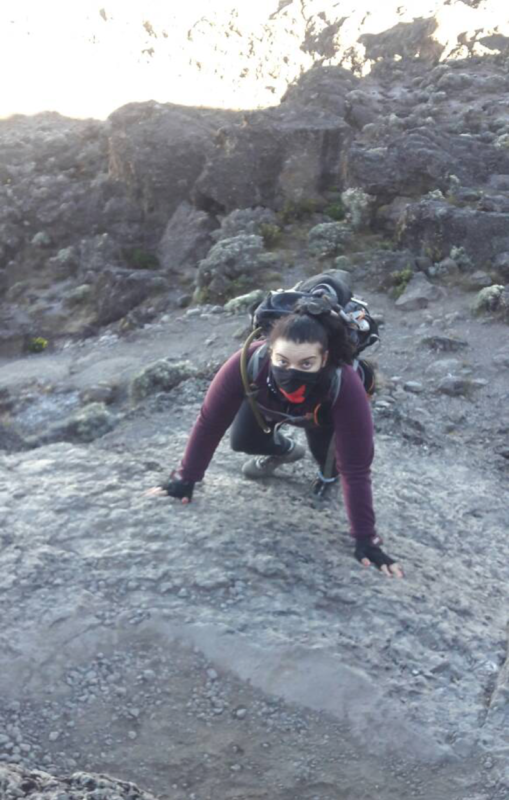 On the 24th of June 2018, I set off on an adventure to climb Mt Kilimanjaro. 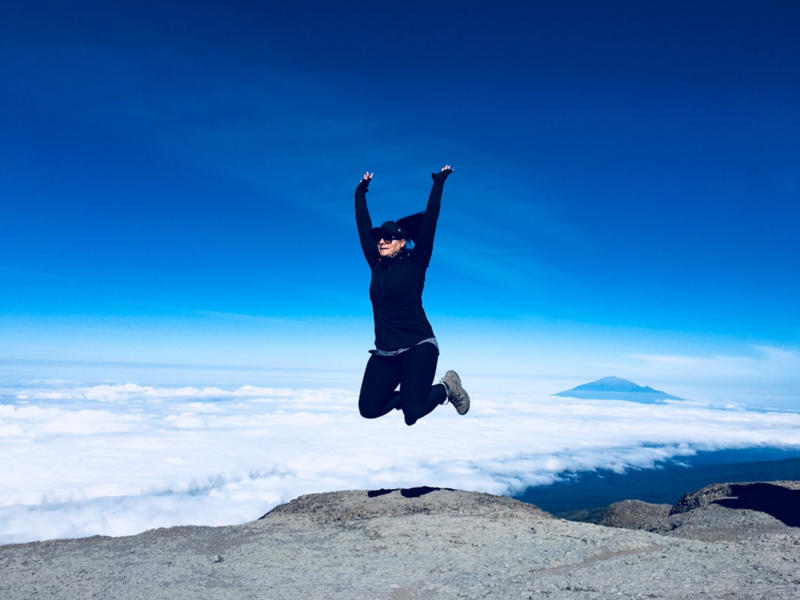 The decision came about when my cousin had decided to climb Kilimanjaro and I knew this was my one chance to join her and live one of my dreams. This adventure is certainly one I had always looked up too, yet I never for one minute believed I would be able to tackle the majestic mountain or be blessed with the opportunity to go on such an amazing adventure. Every year, I try and give back to the awesome universe we live in. At work we are given 5 days a year for a CSR (corporate social responsibility) activity. A couple months prior to deciding to do Kili I had been following HOLAH on Facebook and it always tugged on the strings of my heart, being a durbanite myself, I just knew I could, at some point contribute to help this great cause and offer support in some way. When I decided to do Kili for a charity, there was no doubt it would be HOLAH. I have now been back from this life changing adventure for two months and I am still trying to come to terms with the whole experience. I relive the moments of exasperation, find myself day dreaming and identify how this mountain has changed me in so many ways. I am going to try my best to give you a bit of an insight into this wonderful experience. 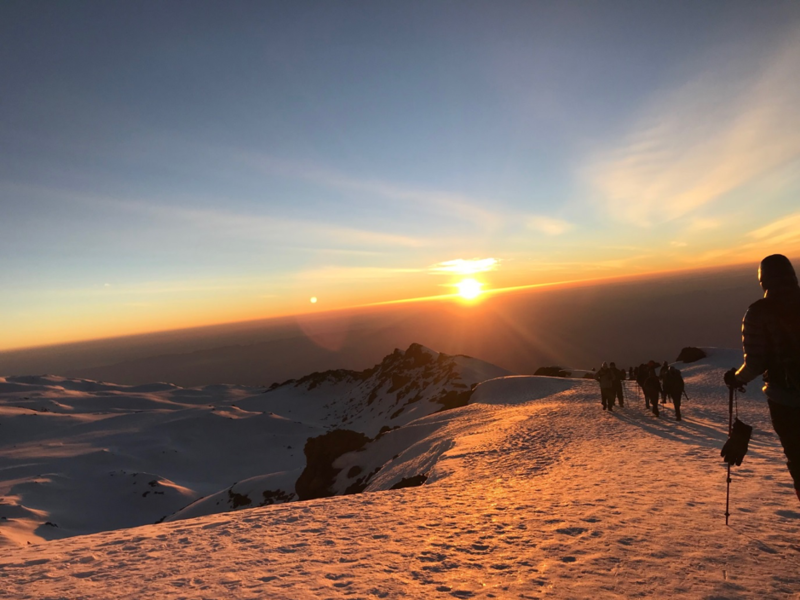 A few facts about Kilimanjaro; Kilimanjaro is the highest free-standing mountain in the world at a spectacular height of 5895 metres above sea level (Mt Everest is just more than 2950 metres higher! ); it is estimated that 10 people die trying to climb Mt. Kilimanjaro each year from altitude sickness. It is home to six different ecological systems on the mountain (cultivated land, rainforest, heath moorland, alpine desert and artic summit). Day1; There were 5 of us in the group, 3 guides and a whopping 19 porters to help carry up all our goods for the 6 days. It was a Sunday the 24th June that we started the journey ascending through a beautiful rains forest. There’s a popular saying that we heard every day and all the time, ‘POLE, POLE’ which means slowly slowly in Swahili. 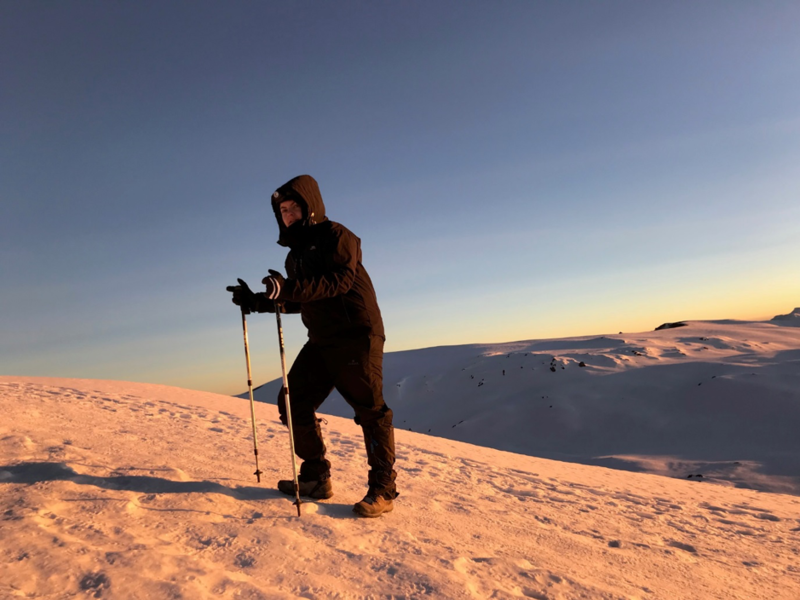 The pace of our ascend was very important to the success rate of us summitting Kilimanjaro, we needed to acclimatise to the altitude as best as possible. So, our journey from start to end was always ‘POLE, POLE’. This day was beautiful, the rainforest and scenery were breath-taking, it was humid, and we were very fresh in mindset with lots of talking, laughing along route. We had a lovely packed lunch along the route. We trekked 19km this day with an elevation gain of around 1000m. We arrived at our first camp for the night to be welcomed with lovely afternoon tea, our tents set up and hot meal on the go. Day2; We left camp around 7am in the morning after a lovely fuelled breakfast served by the Diddy our ever so wonderful waiter for the trip. Today the climb was tough, it was an 800m elevation gain over just 5km. We hurt, the talking got less, we stopped to catch our fainting breaths and refuel our bodies with energy. We are now rising through the clouds and landed above them after day was complete. This is when the altitude already started to take its toll. The emotions start going haywire, tiredness starts to set in but at the same time every single step of the journey had been such a humbling experience with the amazing friendly porters, the efforts of the guides and team spirit feel gave you everything you needed to push on. I can still vividly remember the feeling while writing this, of sitting on a rock above the clouds. It difficult to even find the words to fit all the emotions even on day 2! Day 3; Our Hike up to Lava camp, this would be at an elevation of 4635m. Today’s climb was all about getting us prepared for higher altitude, this day was difficult. We had long hard slog, it was through very arid terrain, lots of dust and typically evident of the volcano Mt. Kilimanjaro is. The walks became quieter, everyone was feeling dimmer and the mental challenge had started its fight. We felt pain, exhaustion and I did even start a few tears to my quiet self. It was at this point that I certainly questioned my ability to carry on and the daunting thought of even trying to climb any higher was overwhelming. I even struggled at this point to tie my very own shoelace! We reached 4635m only to be taken all the way back down to 3900metres for the night. Today was tough, sleep was deprived, temperatures were well below zero at night and we felt very depleted. Day4; Today we climbed the barranca wall, literally a cliff kind of climb for a good 2 hours, we were scrambling at points. Today was a big day and certainly the day that broke all limits/boundaries. (or so I thought) Today our target was to get to base camp ahead of the start of our summit that night. After around 10 hours of climbing and hiking and reaching some extremely low points and facing huge challenges of altitude, we arrive at base camp. We are finished, we are tired, we don’t feel like food, we have headaches, our breathing is light, and we are at about 60%oxygen intake. We arrived at some hot tea, and early dinner awaited us. There was a sense of nervousness over all of us, we were irritable and emotional. We had our dinner and got briefed as we did every night by our lead guide on what to time to be up and ready for the start of summit. We made our way to bed for a quick 2-hour nap, yep…two hours and then we were woken up at 10pm to get the journey started to summit! Summit; we are woken up by our lovely Diddy at 10pm. We are 4200m high and below freezing temps. The only lights are the torches we have on our heads. We are running on less than a 2-hour nap! As you can imagine, the body goes into some sort of fight or flight mode and doesn’t let you go into a deep sleep because of the lack of oxygen levels. We layer our clothes on, we have about 5 layers on with waterproofs and down jackets to try keep us warm. Two sets of gloves and chemical handwarmers stuffed into them. We do a group prayer and set off on what we never thought would change us for ever…. This last push to get to Uhuru peak was dreadful! Many thoughts of, ‘what the heck am I doing?’ why? Can you even do this? Are you silly? Passed my mind…it passed my mind constantly! We were only ever allowed to stop for 2minutes or so as it was just that cold and your core body temp would drop and the body shaking uncontrollably even when we did stop for 2 minutes! Its pitch black, you are holding onto your walking poles and there is a snake trail above you of all the torches! It was a constant mental fight with each step that was taken, each step drained you, each breath suffocated you. You had thoughts of everything imaginable, BUT I had reason, I had reason to get to the top. 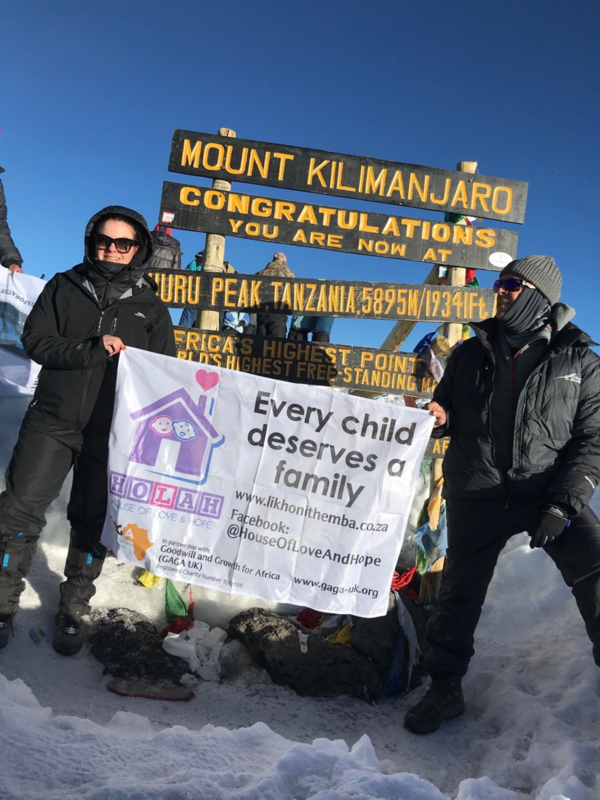 The one constant thought I had was of all those littlies at HOLAH and what they would be benefiting from with the funds I had set out to raise for them, I needed to conquer Mountain Kilimanjaro. I had too. I vividly remember asking ‘how far we had left’ the answer was ‘just keep going’ I knew I was far off, we could barely feel our bodies and I felt like I was sleep walking, I no longer had any thoughts or reason. My wonderful guide at this point had taken my backpack from me to help, he told me to follow each step of his, he encouraged me when I couldn’t go on. My camel back for water had frozen over even though it was filled with hot water to start, I guess that would hapend at -25 degrees! The team didn’t speak a word, there was a slight hum of music from the porters to keep us focused. It felt like I was in a dream, I had pushed passed any limits I ever thought possible. At 6.30am I reach Stella point, I reach the roof of Africa and can see the sun peeping through. I experienced what felt like every single emotion a human being could experience all at the same time! I was completely exhausted and overwhelmed by this mixture of emotion, but rather Jubilant and absorbed by a sense of achievement! I wasn’t quite at Uhuru peak, but there was nothing stopping anyone at this point as Uhuru peak was in sight and only another 45minutes away. We have some hot sweet spiced tea at Stela point and off we go to Uhuru. We make it! We are full of euphoria and excitement! It’s too difficult to explain or find the words, we get our pictures taken at the famous sign to mark our summit of Mt. Kilimanjaro. I triumphantly was so thrilled to have the HOLAH flag in my back pack and to be able to fly it high on the roof of Africa made me so proud. I did it! I reached 5895m! yes 5895metres! I literally felt on top of the world ? I guess I was almost! As Nelson Mandela would say, nothing is Impossible’ I say nothing is impossible even the word itself says I’m Possible! This is an adventure I will mark as life changing to me, it’s changed me, and I am forever grateful. The amount of support from all my friends and family was remarkable. The support from Holah and GAGA UK as a charity was incredible, they were so involved and interested in how I was getting on. Such a professional little charity that I really look up too, the work you do and lives you change is implausible. Thank you and I can’t wait to raise more funds for you. In total I managed to raise £2096.01 (R40,920) for HOLAH. Thank-you for reading my mini blog.